Abraham addresses the three visitors as LORD. Is there any group of Christians that understands this as a theophany of the Trinity? According to Augustine, it seems, he interpreted the three men in Genesis 18 as The Trinity God appearing in human form, hence the three men. Genesis 18 is taken seriously by many Trinitarians to prove that Trinity is mentioned in the Old Testament. The language used in Genesis 18 is vague and subjected to many interpretations. This has to be one of the most debated passages of all time. Non-Trinitarians and even some Trinitarians understand this as "God and two angels". However, as a Trinitarian, I prefer to believe that it was The Trinity who visited Abraham. Genesis 19 called the two men as angels. However, as the language here is vague, it seems the two angels were also the Lord(or Lords). For they said "we are going to destroy this place" and then later the Bible says "God destroyed the cities". (1) The two angels arrived at Sodom in the evening, and Lot was sitting in the gateway of the city. When he saw them, he got up to meet them and bowed down with his face to the ground. (24) Then the Lord rained down burning sulfur on Sodom and Gomorrah—from the Lord out of the heavens. (29) So when God destroyed the cities of the plain, he remembered Abraham, and he brought Lot out of the catastrophe that overthrew the cities where Lot had lived. Actually Abraham does not address the visitors as LORD, he address them as Lord. Many English translations (including the NIV and the New King James) use uppercase LORD where the original manuscript have YHWH, the name of God. Other versions translate it Jehovah, or Yahweh. The lowercase "lord" or mixed case "Lord" represent a different word entirely, which could be applied to God or to an earthly lord. So Abraham actually addresses the visitors with the same word he would use to an earthly lord. All of which is irrelevant, because Genesis 18:1 states "The LORD appeared to Abraham...", clearly using the word for God. First, is clearly shows Yahweh walking around on the earth in human form with two angels. They are called "three men". Yahweh and the two angels are called men, because they appeared as men. Second: God taking human appearance on earth is called a "Theophanies". There are several other examples of Theophanies in scripture. Third, you have Genesis 19:24 that has two distinct Yahweh's: One on earth and one in heaven. "Then Yahweh [on earth in human form] rained on Sodom and Gomorrah brimstone and fire from Yahweh [in spirit form in heaven] out of heaven. Genesis 19:24. In this story, Abraham meets God (Jesus) and the two angels. Jesus came right out and said He was the one who talked to Abraham. This is what Jesus meant when He said, "Your father Abraham rejoiced to see My day, and he saw it and was glad." (John 8:56) God appearing to Abraham is an example of a Theophanies. Elijah is also said to have seen Jesus in heaven in Isa 6 + John 12:41. Jesus appearing to Elijah is not be an example of a "Theophanies" because Jesus was seen in heaven. It was God who was standing before Abraham in human form. Three men intend on visiting Sodom. God, in human form says this directly to Abraham. This verse shows that Yahweh would go personally to Sodom and see for Himself. The two angels, called men, depart, leaving Yahweh behind to talk to Abraham. Abraham replies to the man and calls him Lord. Notice the Lord (the man) intended on destroying it. Yahweh, in human form, left Abraham and went to Sodom to join the two angels who left earlier. Two angels visit Lot. During this time, these two are never called Yahweh, neither are they addressed by Lot as Yahweh. Lot addresses these two angels, as Adonai, not Yahweh. Notice the angels say that Yahweh sent them. Yahweh is not present with Lot the way he was with Abraham. The change is powerful proof of our major premise. Yahweh, the man who was talking to Abraham, was to destroy Sodom. Again the two are called angels, never Yahweh. There are two Yahweh's present in this verse and the context. The man talking to Abraham, called Yahweh, was standing on the earth and commanded the city destroyed. Yahweh in heaven then sent the fire out of heaven. Some people may well regard this as a theophany of the Christian trinity, however, the word used here for 'men'is clearly representative of humans, not gods, or the supernatural. Other Christians believe the Bible to be divinely inspired, in which case God would have used a word that implied divinity, not one used for men. True, Abraham is represented as treating the men with the kind of respect he would reserve for gods or kings, but this is not supported by the language of the text. Part l Gen.18-19 I know Hebrew. To mix "men" with "angels" two different words it is not unusual(we do the same in English narratives) for the same person/s. Even the names for God change in a narratives in different places in scripture. All three eat at the same time "they ate"
Not the answer you're looking for? Browse other questions tagged exegesis trinity genesis extra-biblical theophany or ask your own question. 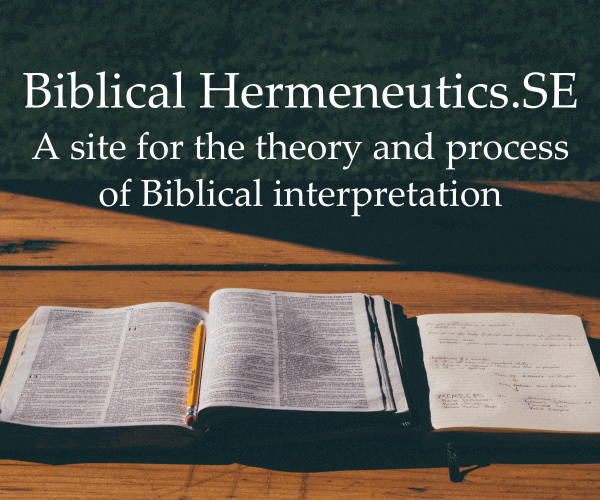 Does Genesis 3 tell of a theophany? How well supported is the generic interpretation Rublev's Icon as being a depiction of the Holy Trinity as portrayed in Genesis 18? What is the Biblical basis that it was was the second person of the Trinity that walked in the garden of Eden?